Let our team of professional flooring installers transform your home with new floors or bring back the original shine of your old hardwood floors. We have a dedicated team of flooring professionals ready to take on any flooring project. 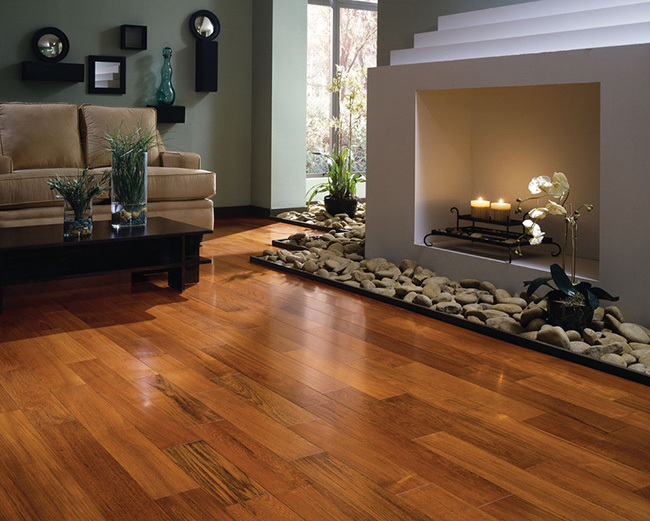 We can install and refinish virtually any type of hardwood floors. Laminate flooring installations and repairs are a part of what we do. Upon taking total square footage measurements, providing free estimate and getting your approval, our team of professional flooring installers will start with the work preparations by bringing in all the tools needed to perform the job, remove any carpeted area where necessary, cleanup the floor from nails or dirt, remove any flooring squeaks, lay down the protective wood layer and bring in the hardwood itself. Once all the preparations are done and the wood has accumulated the room temperature and room humidity is at the right measure, our team of installers will start with the flooring installation and while doing so also follow any project notes, check the wood for any damages and inspect the installed area. After completion of the installation project we will go through all the work by carefully inspecting how the wood has been installed to make sure that everything looks great and our customer is satisfied with the project completion.